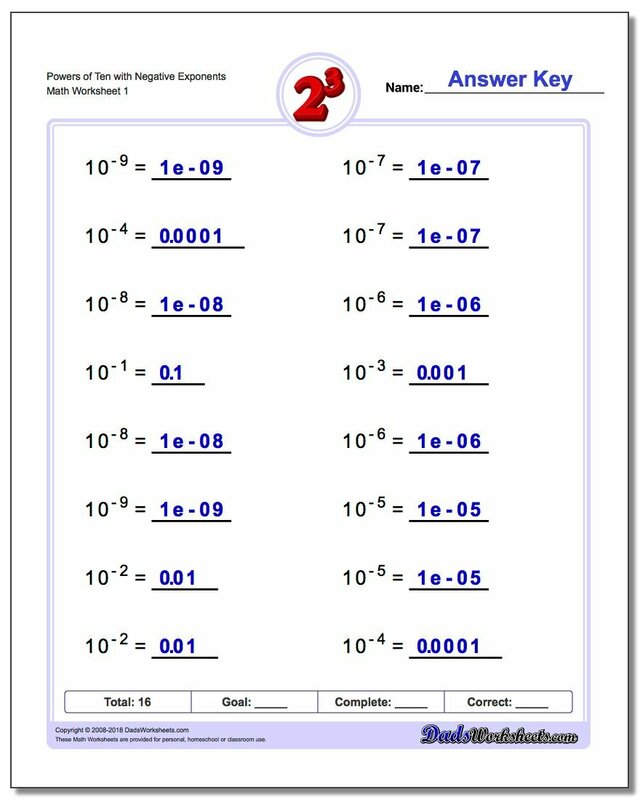 Exponents worksheets for computing powers of ten and scientific notation, including positive exponents and negative exponents. 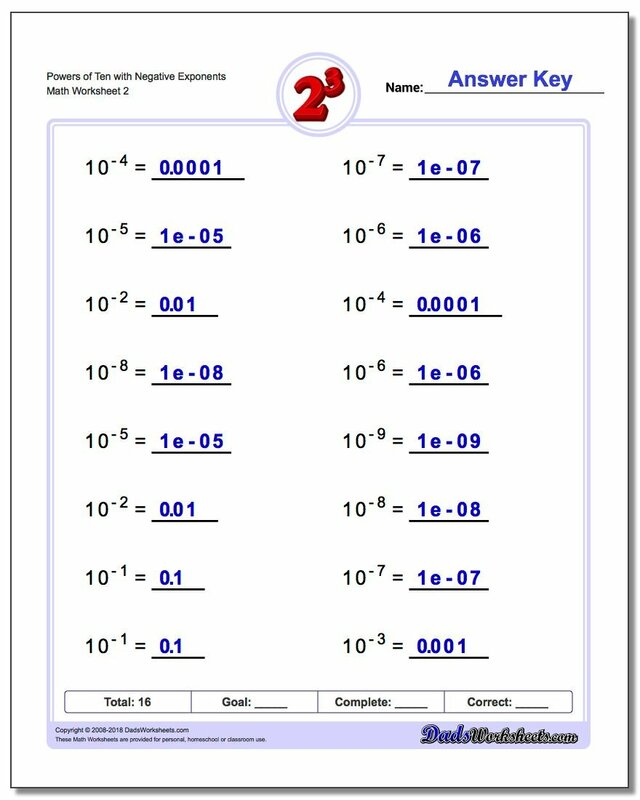 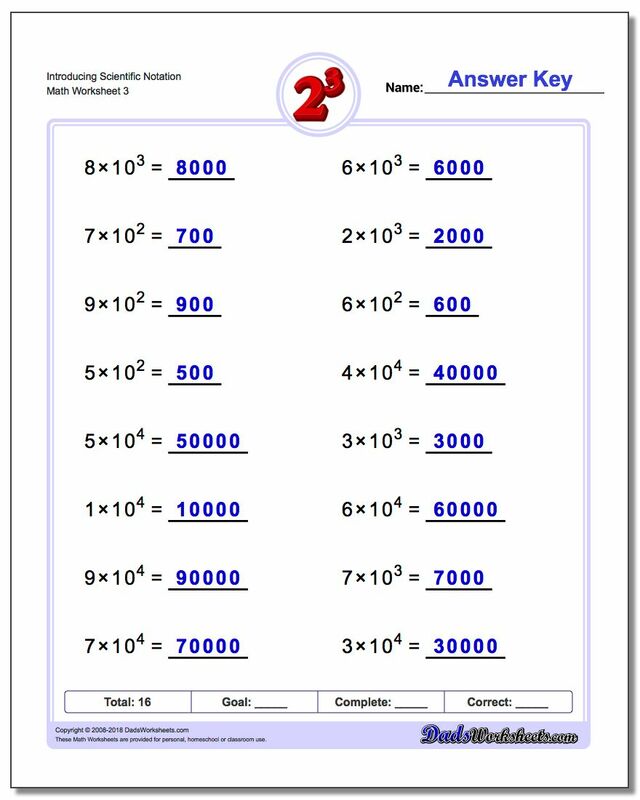 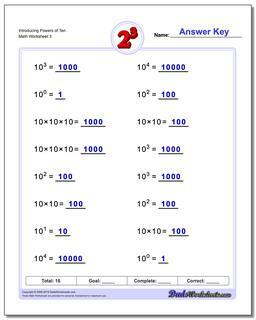 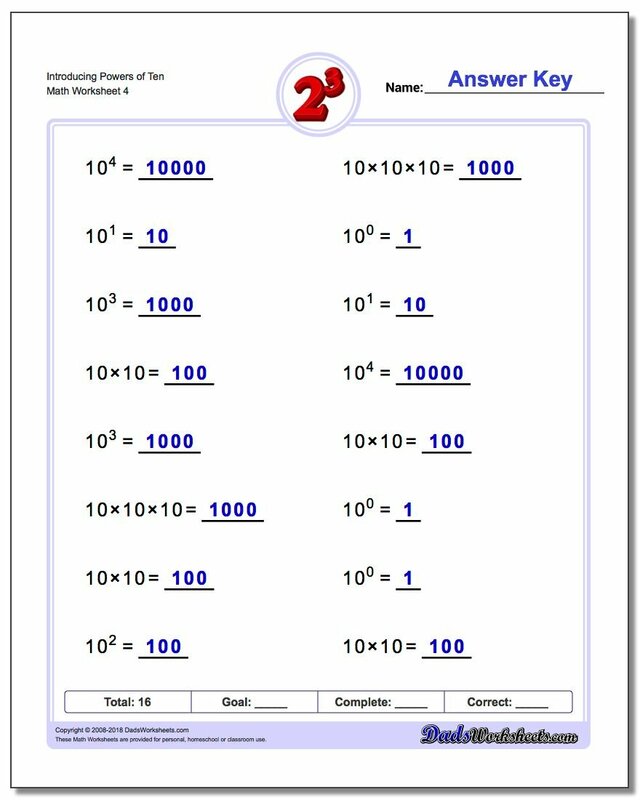 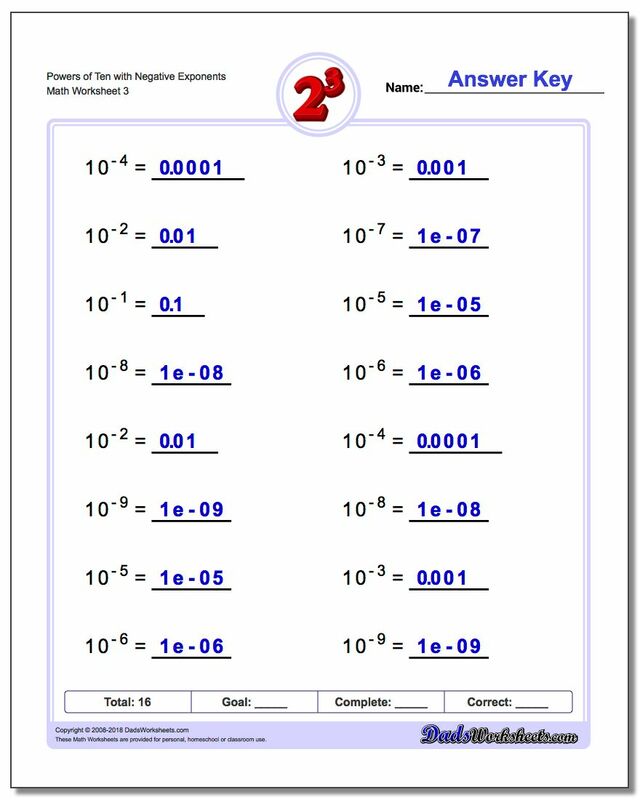 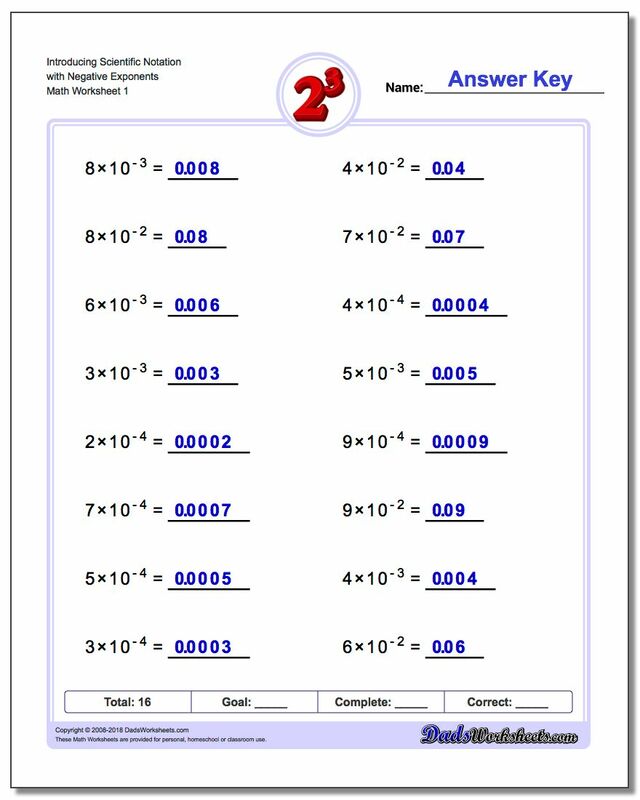 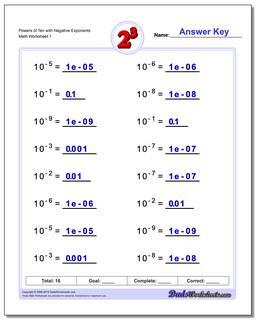 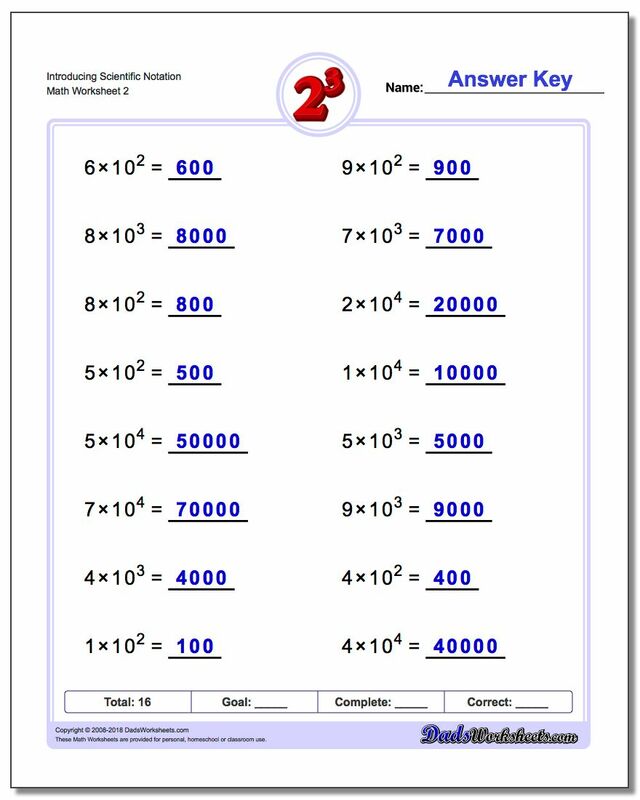 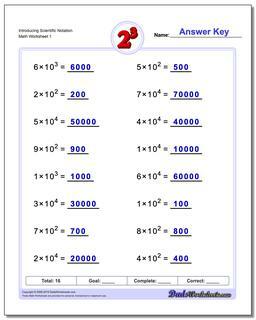 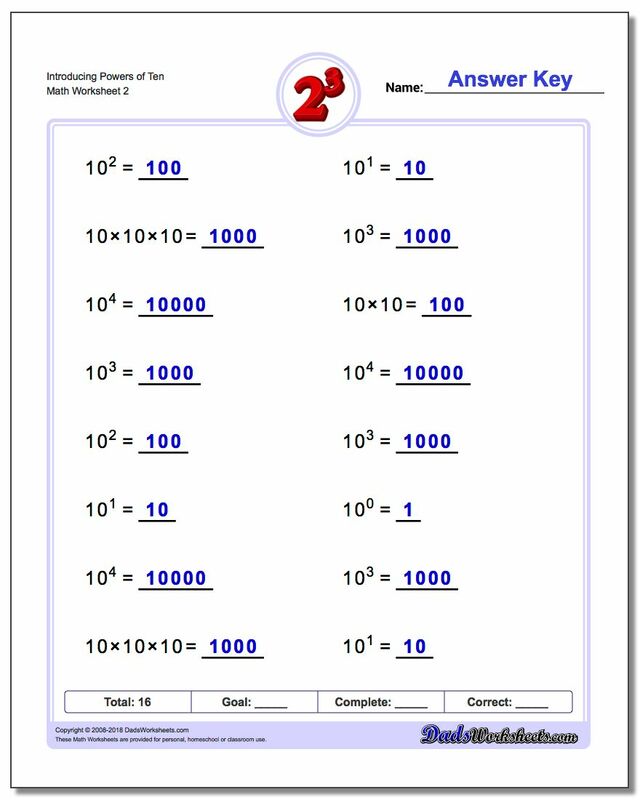 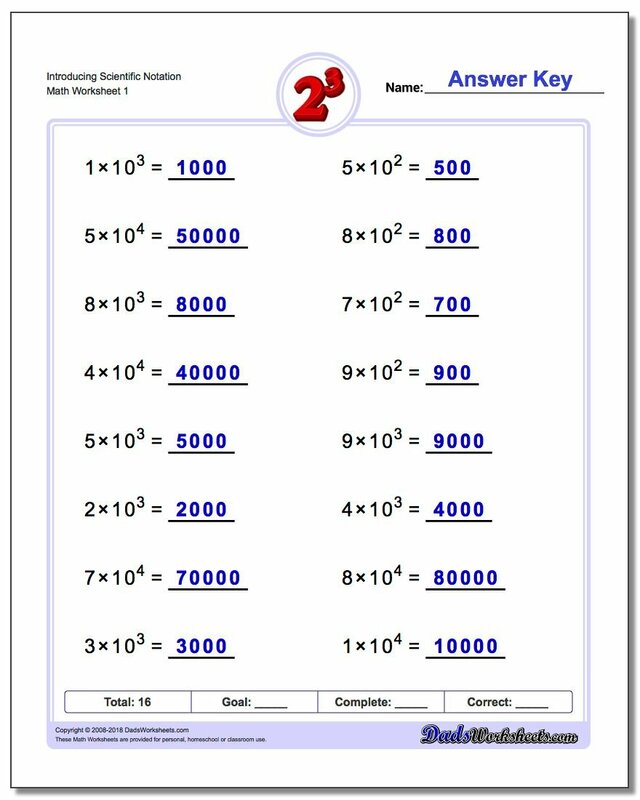 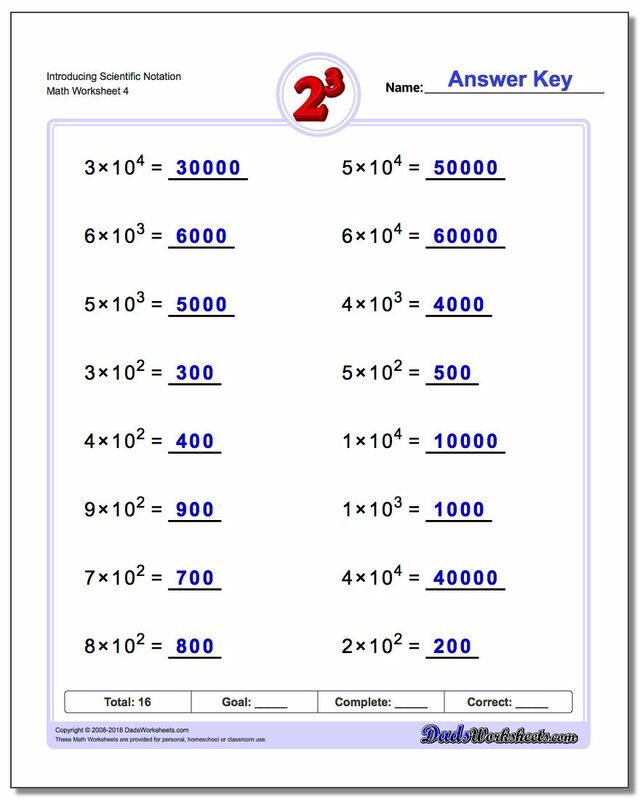 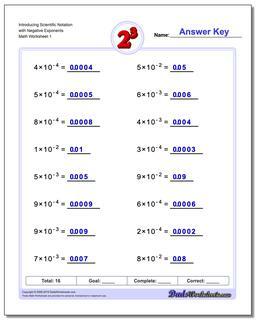 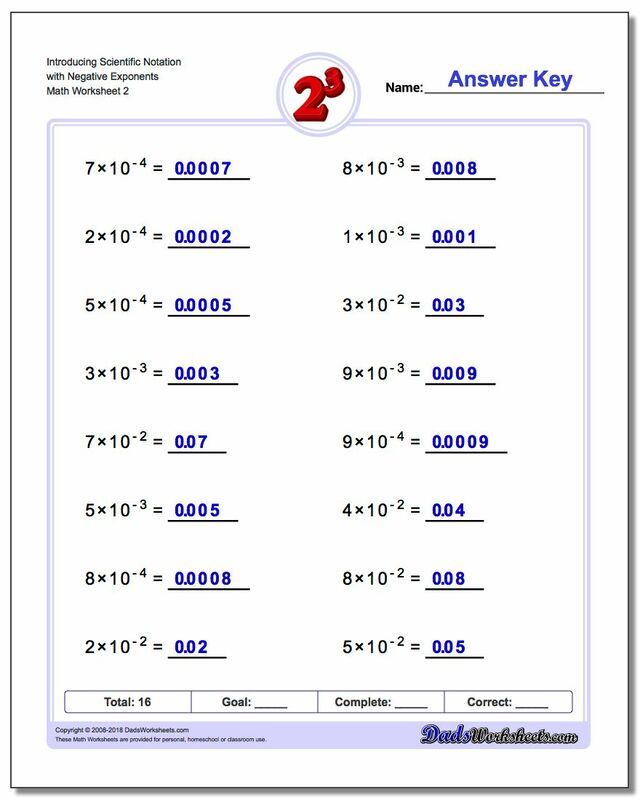 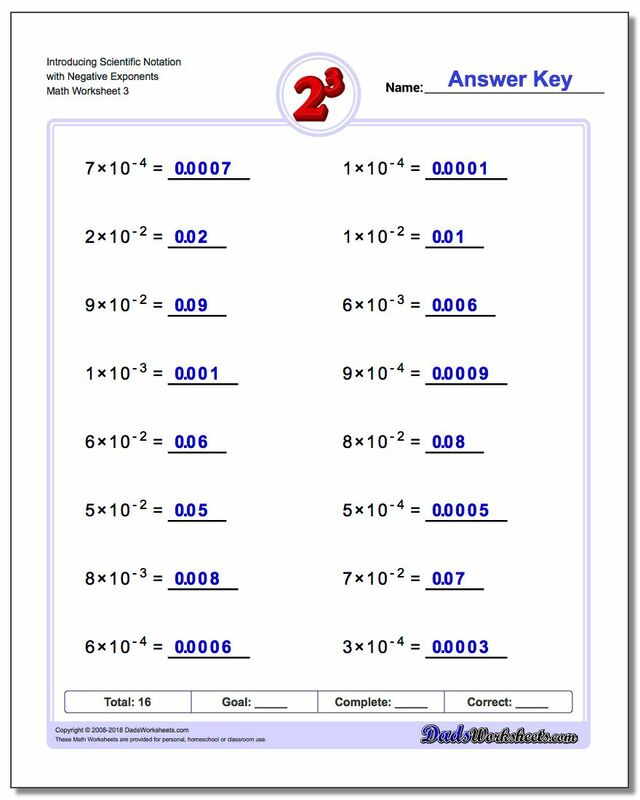 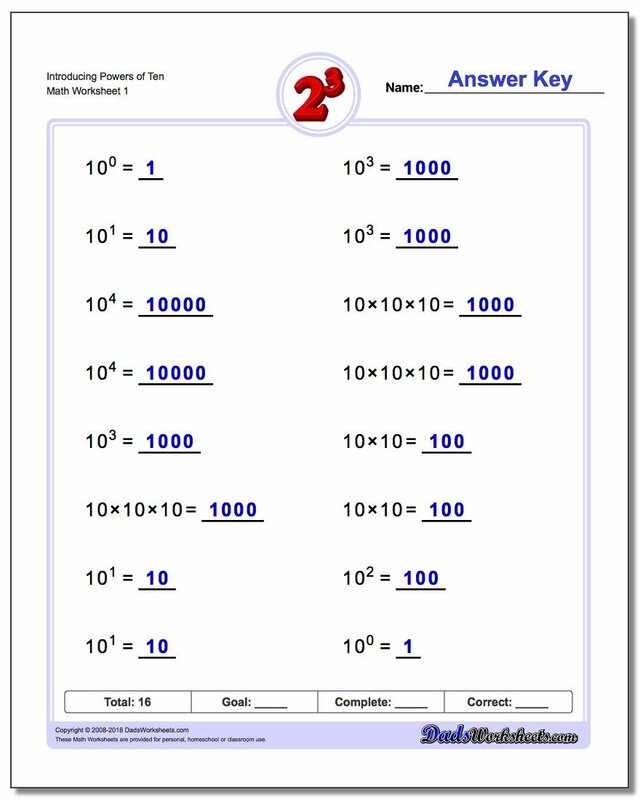 These exponents worksheets introduce problems with powers of ten. 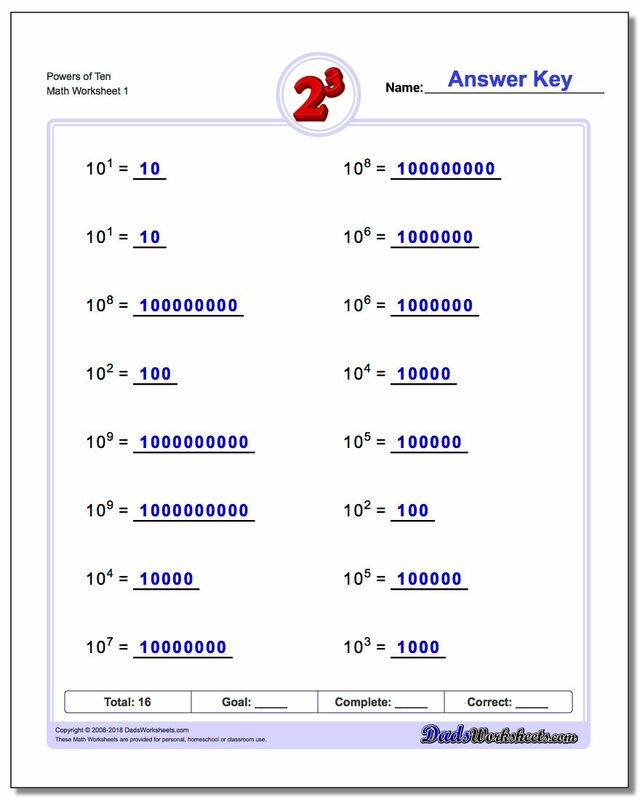 When learning about scientific notation. 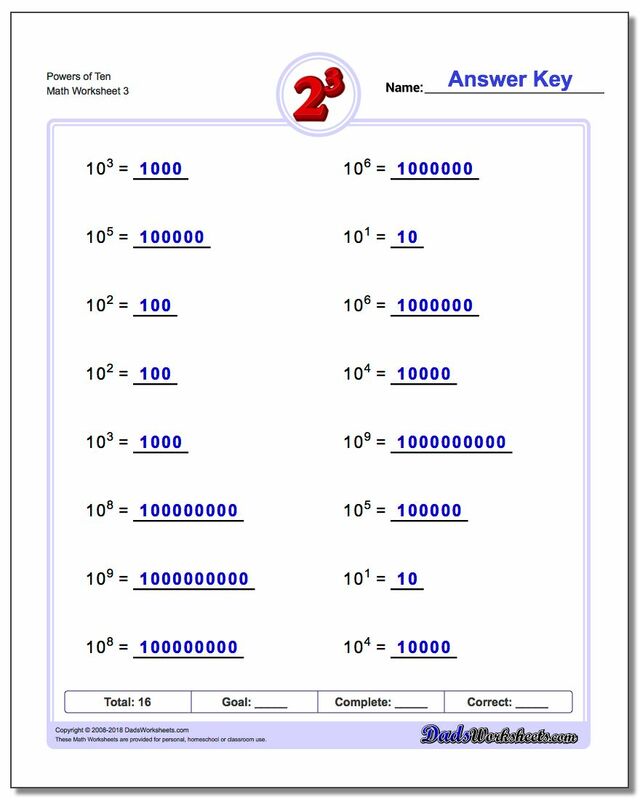 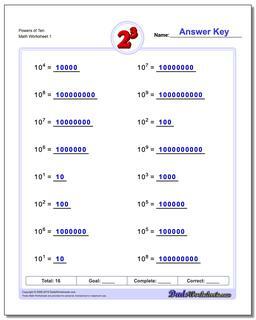 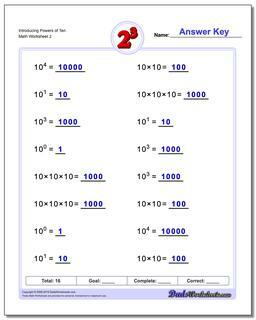 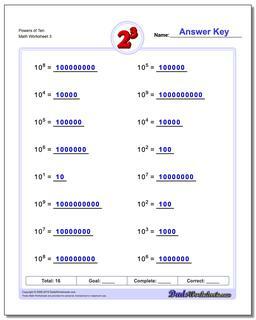 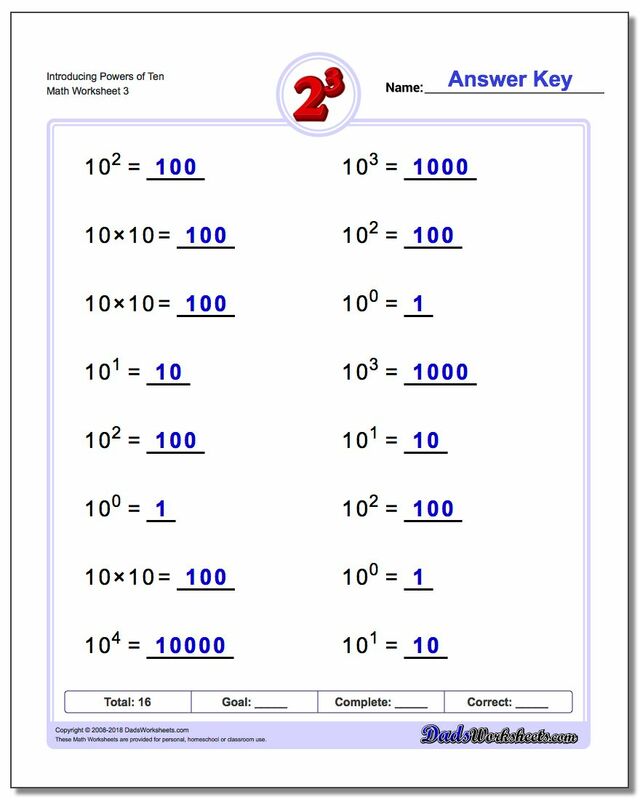 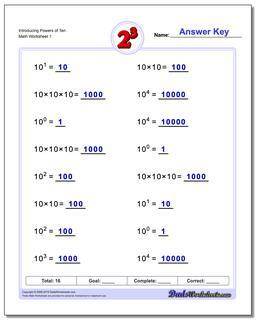 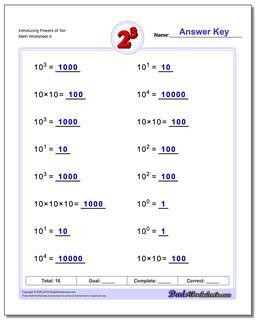 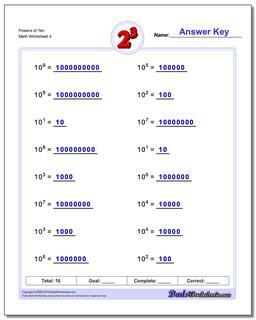 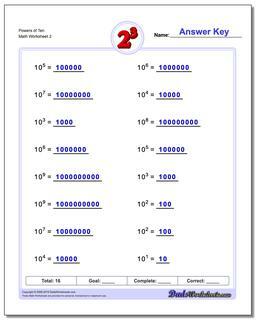 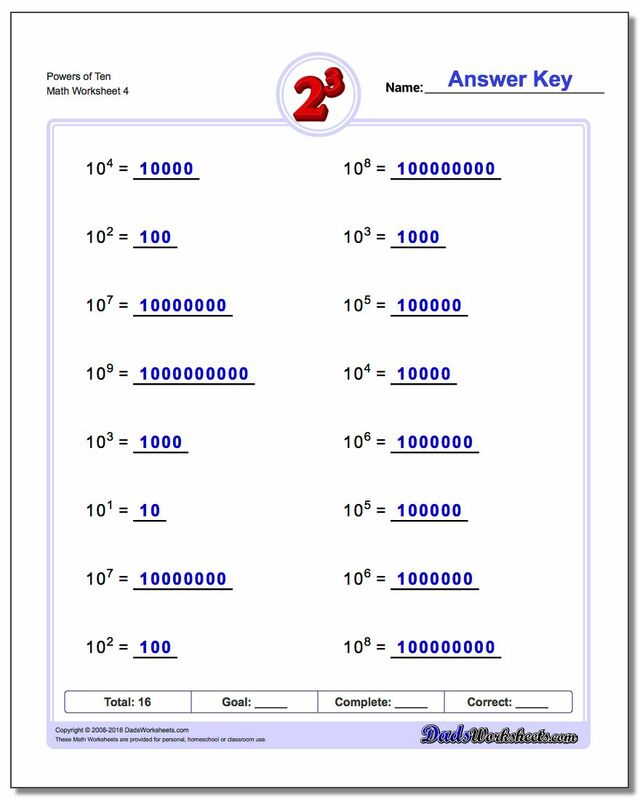 The worksheets start out introducing simple powers of ten terms, including ones that should be memorized. 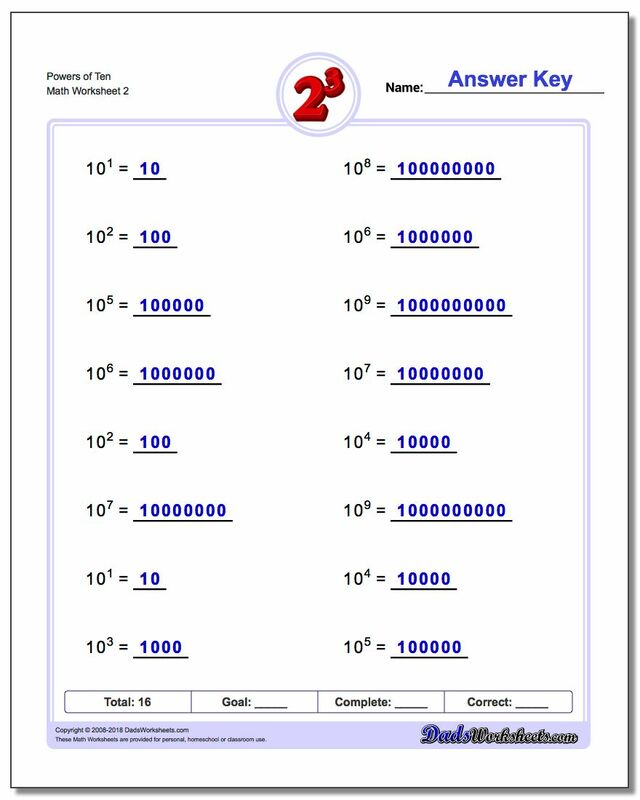 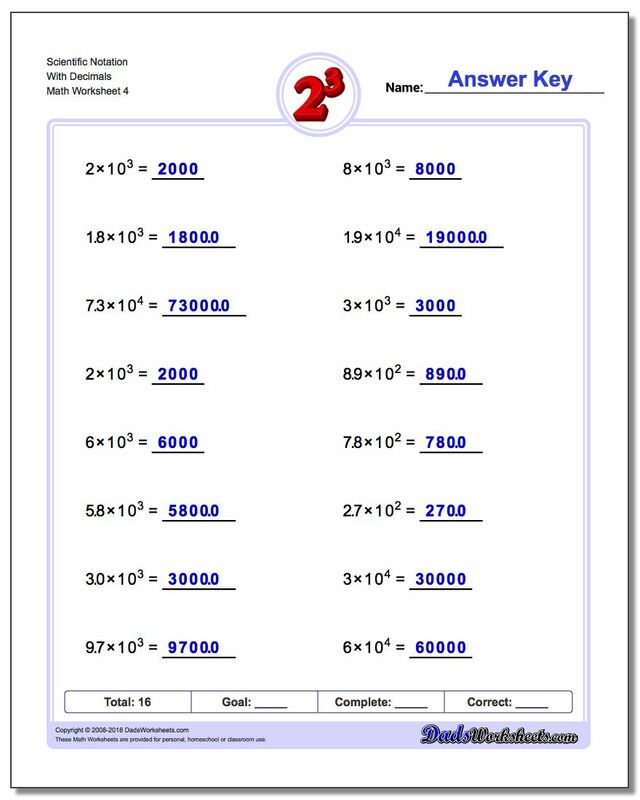 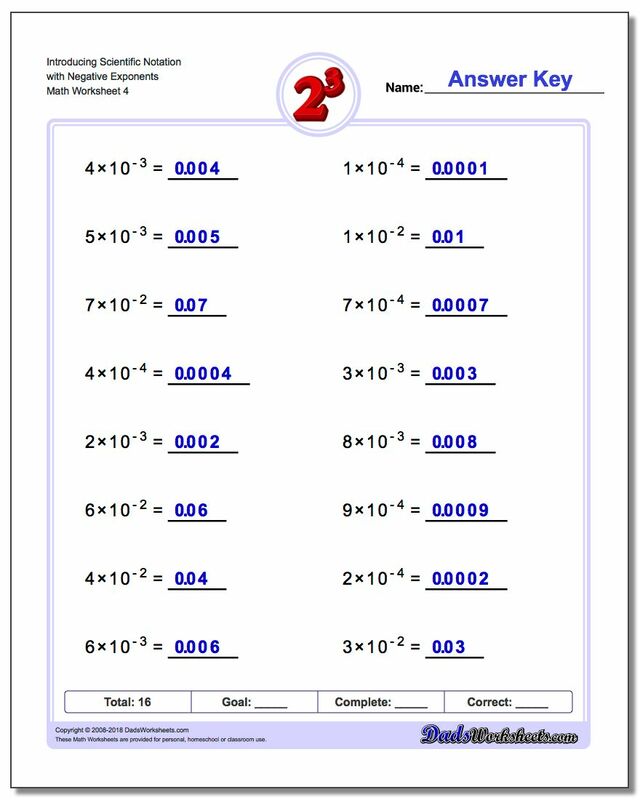 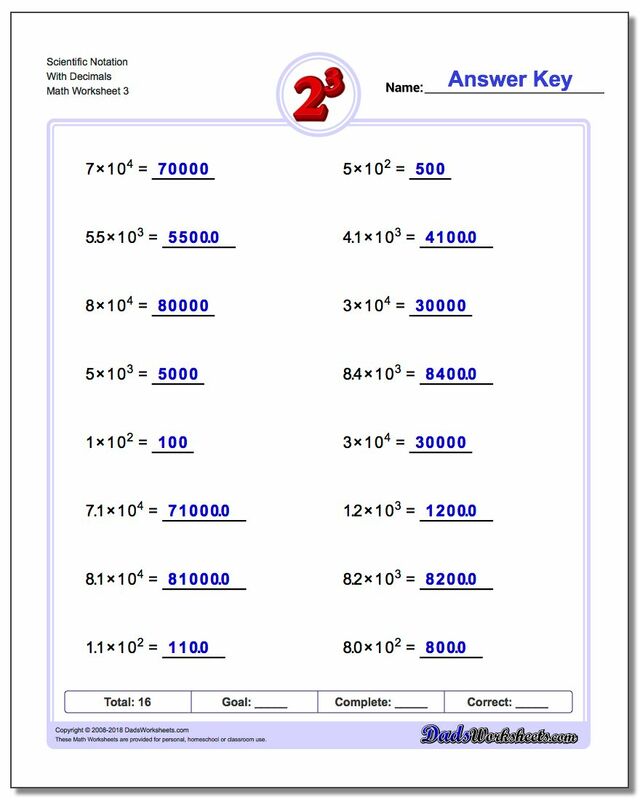 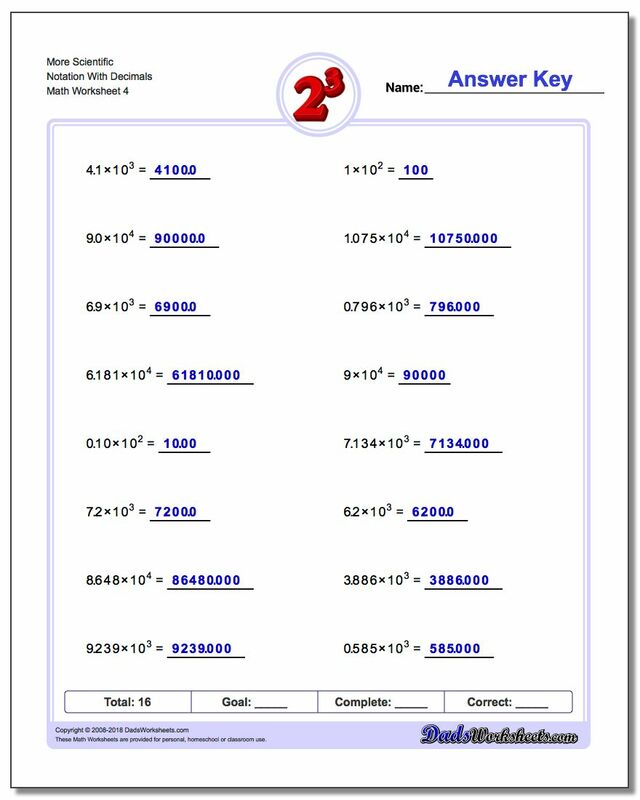 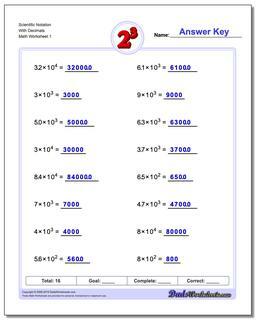 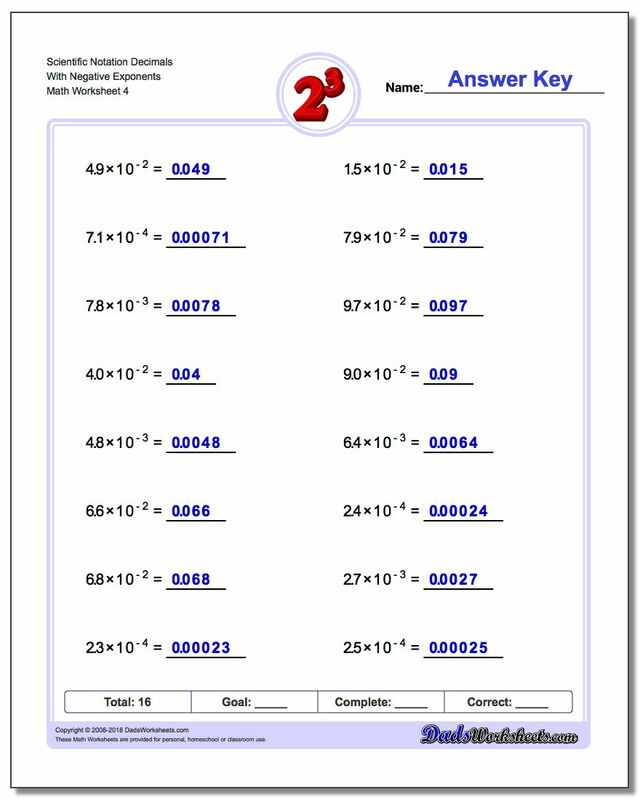 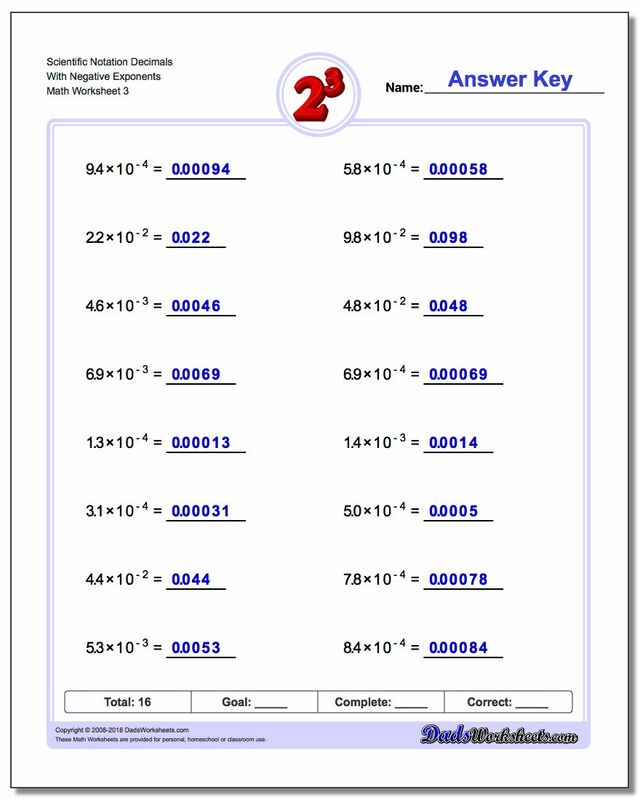 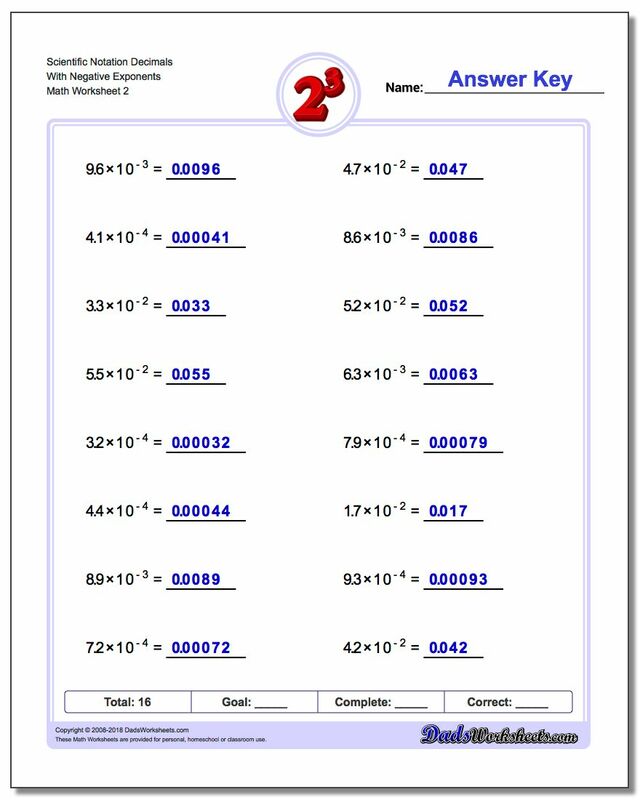 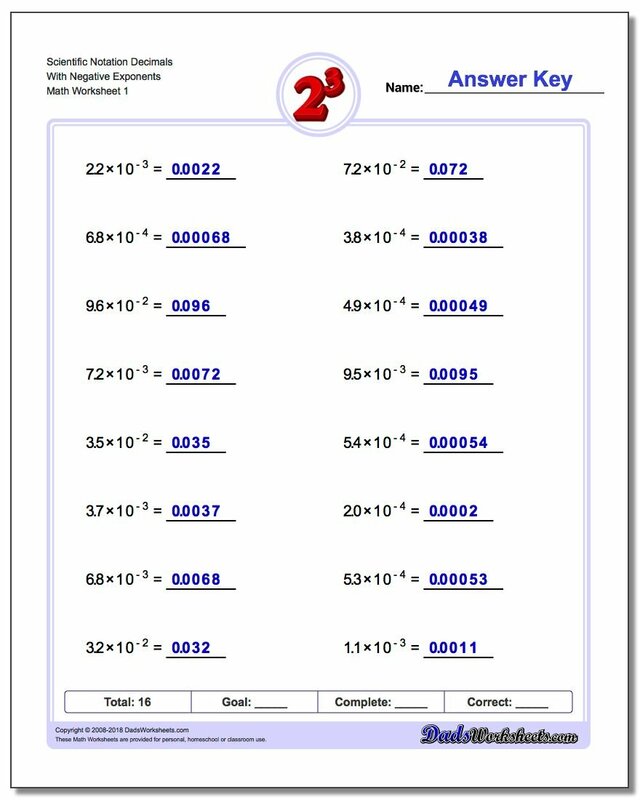 Subsequent worksheets require the student to expand terms in increasingly larger scientific notation, starting with coefficients that are whole values and then progressing through decimal coefficients and negative values. 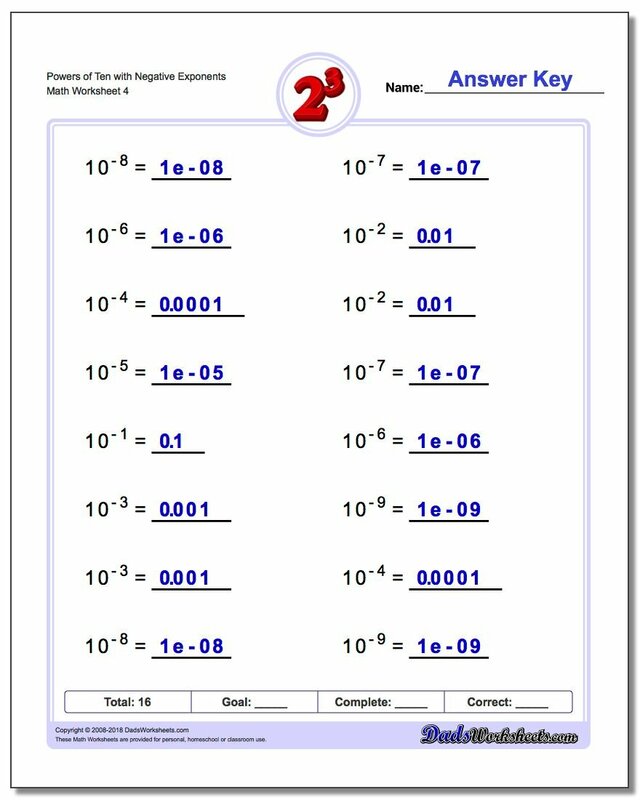 Values where the exponent is positive (larger values) and negative (smaller values) are introduced as well.